Nikon is better than Canon, no doubt about it, and not because of the cameras either company produces. Instead, what makes Nikon the better company is the way it goes about selling its cameras, specifically its new releases. Generally speaking, when Nikon announces a new camera, it is ready to ship within weeks. Canon? Heel dragging in the extreme. In the past few months, Nikon and Canon have rejuvenated their top-tier lineups. In January and February respectively, Nikon announced its D4 and D800 dSLRs. By March, both were available for order (and quickly became back-ordered). Still, though, the cameras were ready to ship, meaning very little lag time from announcement to market. Oh, yes, as an afterthought, about a week after announcement, a whole van on D800s used for PR activities was stolen, too. Canon? 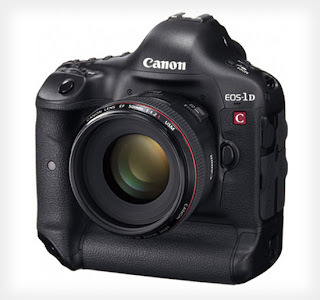 Well, it announced its EOS 1Dx last fall and, just the other day, it announced that the new camera would not be available until summer at the earliest. Initially, at the Fall 2011 announcement, Canon said that it expected the 1Dx to ship just after the start of the new year. This date was then pushed back to spring, and now to summer. Now, with 3 ship date delays already under its belt, who's to say that the 1Dx will not be delayed again and that the new, 4k video-capable 1D C will not ship until sometime mid 2013? In the end, even at the best possible release of summer, 2012, the 1Dx will have been at least 3 months behind the D4 and D800. Yes, while news of the impending 1Dx is enough to keep those deeply invested in the Canon EOS system happy, for those not deeply invested, the repeated delays may just be enough to swing some first time pro camera buyers to Nikon for the simple reason that the Nikons are here right now and the Canon may arrive sometime in the next couple of months. Seriously, what good does it do to announce a camera and then make potential buyers wait for almost a year before they can purchase it? Well, for Nikon, it may drive some business their way.